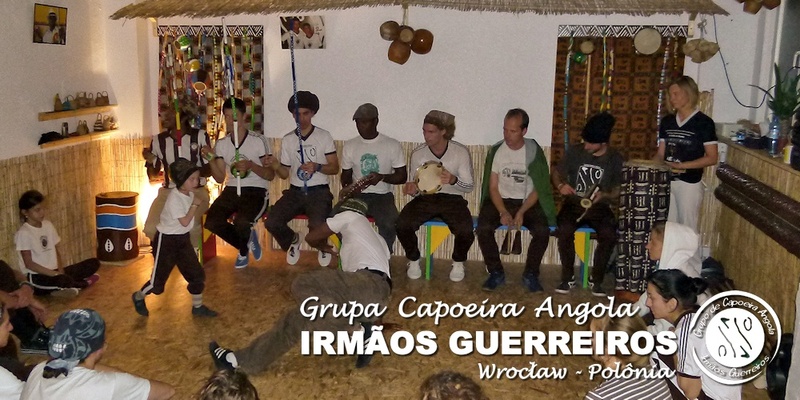 Grupo de Capoeira Angola Irmaos Guerreiros in Wroclaw would like to invite all Capoeiristas to Capoeira Angola Workshop in Wroclaw, Poland on 25th-27th September 2015. 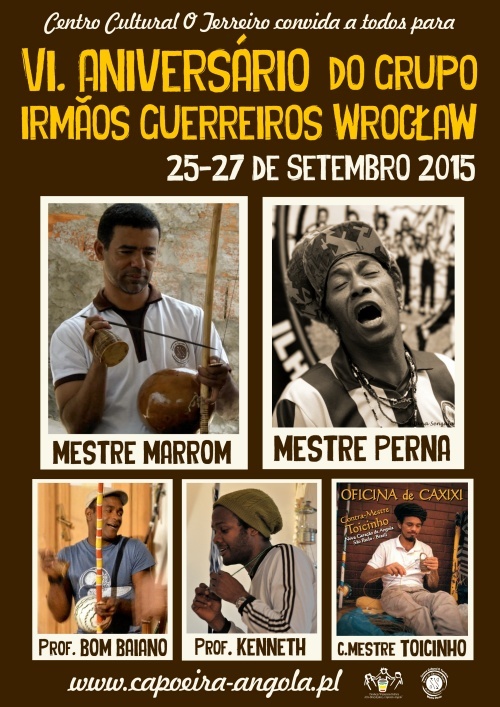 This year we are glad to host for the first time in Poland our master from Sao Paulo - Mestre Marrom. Together with him we are going to celebrate the 6th Anniversary of our group in Wroclaw and also the 4th Anniversary of ACADEMIA O TERREIRO. You can't be missed! 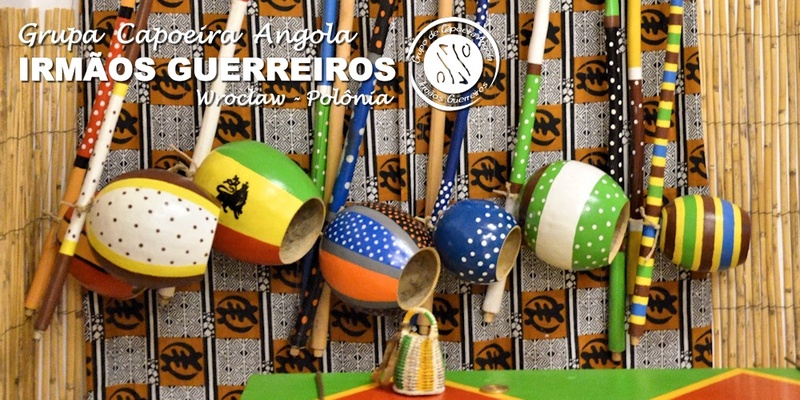 Workshop starts on friday, 25.09.2015 at 18:00 in the Terreiro. Please wear trousers, t-shirt and shoes with rubber outsole. Estimated finish time: sunday 17:00. If you need a place to sleep - please contact us asap. Don't forget to bring your sleeping bag, mattress etc. To get early birds price please register and make a payment until 18.09.2015.